Peru Lima rugs - Our hand-woven sparkling shaggys feature lovely effects of shades and will add a beautiful splash of colour to your lounge. The interesting coloured-scale consists of modern shades, which make every rug look like a piece of designer furniture. 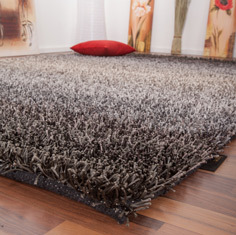 Its thick shag-pile is very cosy and soft and creates an oasis of well-being and comfort. Peru Lima rugs will add a very extravagant splash of colour to your home. A true eye-catcher for all lovers of comfort!